The floating islands made from totora reeds on Lake Titicaca. 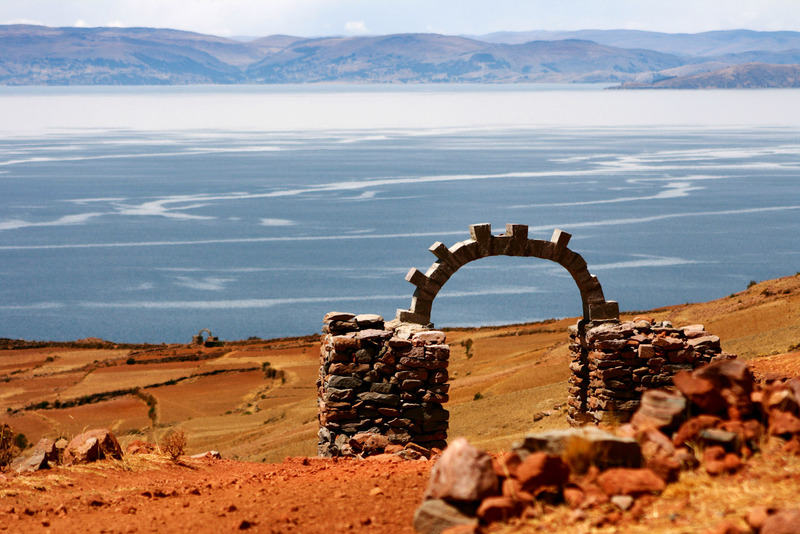 The view of Lake Titicaca from Amantani. Everything on Uros is made of of totora reeds, including the boats and homes. Local women sport brightly decorated dresses and woollen hats. While the tender stems of totora reeds are used from salads and stews the rest is used as building materials. Carol Vorvain goes searching for peace in one of the most frenetic places on earth, and finds it. 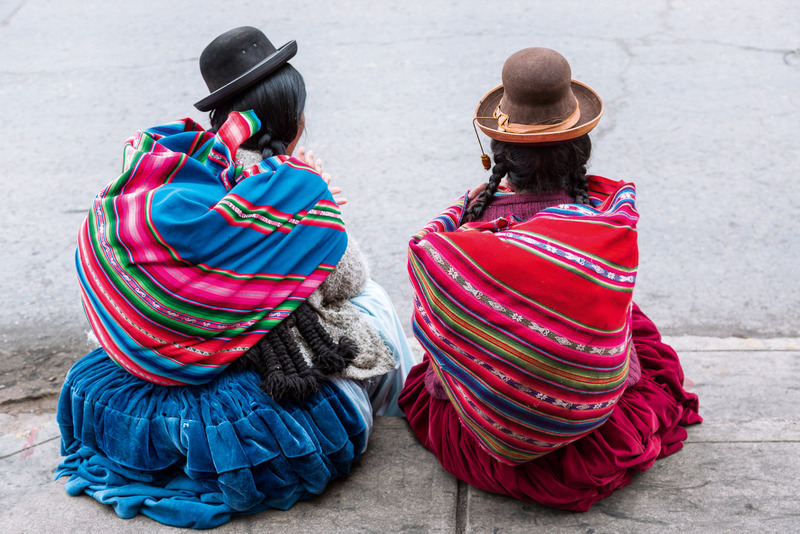 Travelling to Peru, sailing over Lake Titicaca, the last gateway to the remote, unspoiled and serene Peruvian islands, has always been a dream of mine. But, when I arrive in the capital, Lima, nothing is serene: everywhere you look drivers are speeding and cutting each other off as if in a race to the death. My hotel has basic rooms and thin walls, but I didn’t travel to South America to stay indoors. If I am ever going to understand and love this part of the world, it will be for its colour, its flavours and its people. Out on Plaza de Armas, the birthplace of Lima, in the late evening, the city is truly awake. From young to old, everyone is out on the streets, eating, drinking and dancing to the sound of zamponas (a 1.8 metre-long panpipe) flutes and charangos. Friday nights here are dedicated to love: for partners, for music, for life. I stop at a restaurant to sample the local cuisine. 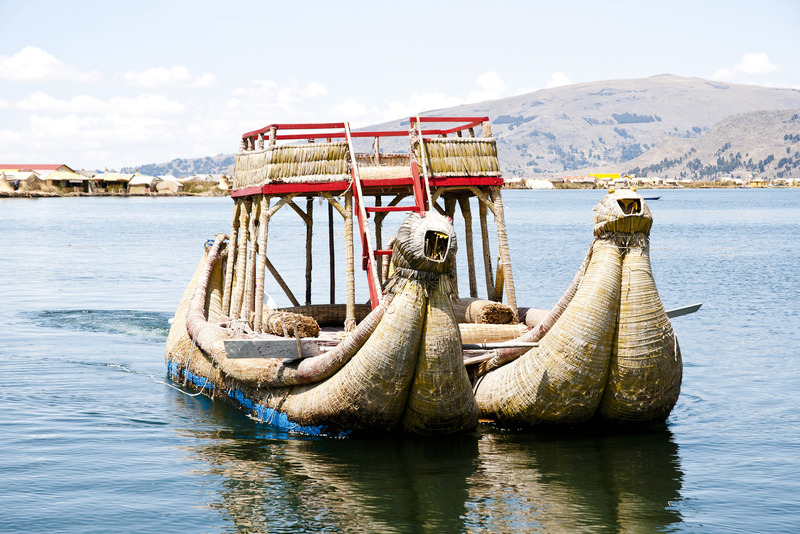 The following morning, the folkloric islands on Lake Titicaca await. 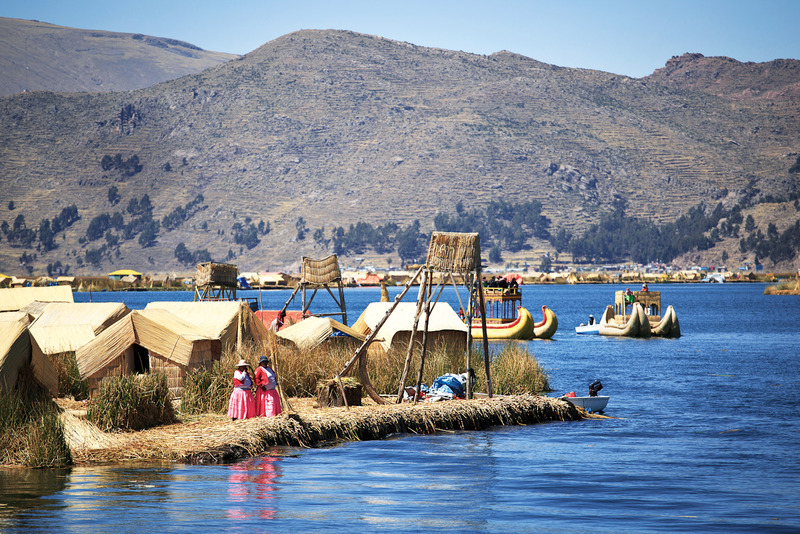 My first stop is Uros, a group of manmade floating islands. 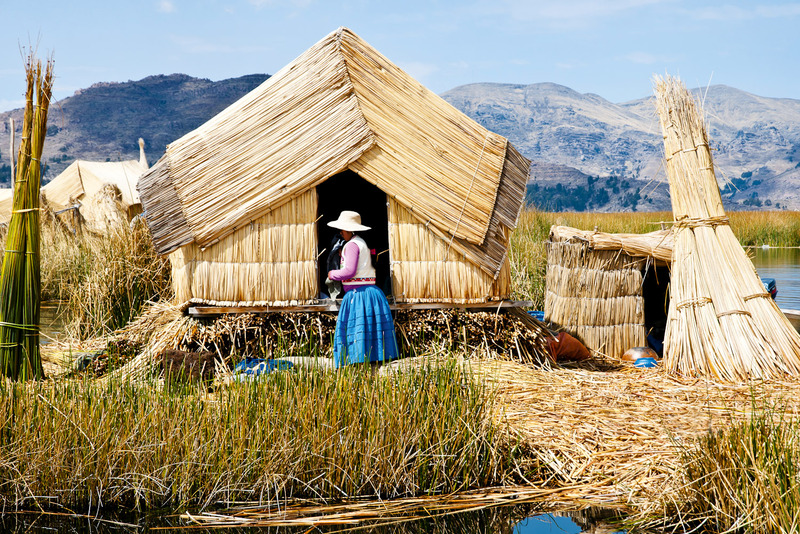 There are no stores on Uros; everything needed is at the lake’s edge where the totora reeds grow abundantly. Here everything is made out of these reeds, including the islands themselves: while the tender stems are used in salads and stews the rest is used as building materials. In my eyes, totora is a miracle plant, the best example of sustainable living: free, renewable and definitely clean. The islands are a paradise, where the locals live a simple, cheap and happy life. I encounter a 95-year-old man still rowing a commuter boat for around eight people at a time. On his face, I see the first glimpse of what I have come to Peru to find: serenity. He belongs to this place in the same way this place belongs to him. From the man-made I move on to the God-made: Amantani. While bigger and far sturdier than Uros, Amantari also lacks modern amenities such as electricity and running water. “Bienvenida a mi casa,” the local woman whose family is about to become my family for the next few days greets me. Dressed in a black skirt decorated with red and black embroidered edging, a poncho and woollen hat, her hands cracked by sun, wind and work, she give me a big hug, a strong kiss on both cheeks, and takes my hand to show me the way to her house, the last one on top of the hill. Tired after a steep climb, I search for the house. “Vamos, vamos!” she says to me. “I would if I could!” I answer back. Neither of us knows for sure what the other is saying, but laughing is the international passport to everyone’s heart. It works in Peru too. Her husband, her children, and her nieces and nephews are all part of the welcoming committee. Each one of them kisses me, hugs me, and says a few words as strange to my ears as their faces are to my eyes. “Wow! So this is love!” I say to myself. The kitchen of the house is small, more like a tunnel lit up by candlelight. We all sit down at a wooden table, crammed into one another, warmed by the flames in the wood-burning stove. They say a prayer, and the feast arrives. For vegetarians, it is a paradise; all the courses are made from potatoes. Of the 5000 potato varieties known worldwide, four thousand grow in Peru. They come in countless colours and shapes. During my first night on Amantani, I experience the most terrifying and beautiful storm ever. Laying in the pitch dark on my hard-as-stone bed, shivering under the weight of the blankets, I listen to the symphony of thunder. I am a world apart from what I am used to but I am happy and peaceful. After the storm, all is finally serene. Just like I always dreamt it would be.